Anyone else ever feel confused about “spring” foods? I feel like other seasons have a much more defined food structure, while spring leaves me wrinkling my forehead. Fall calls for #pumpkineverything and gently leads into winter recipes, which are synonymous with anything cozy, comforting, and hearty. Summer screams for anything fruity and refreshing, with BBQ and picnic food reigning supreme. But what about spring? Sure, you’ve got salad recipes poppin’ up everywhere, but sometimes a girl just need carbs. Am I right? So here’s what we’re going to do. We’re going to take some fresh and delicious ingredients and give them an Italian makeover! 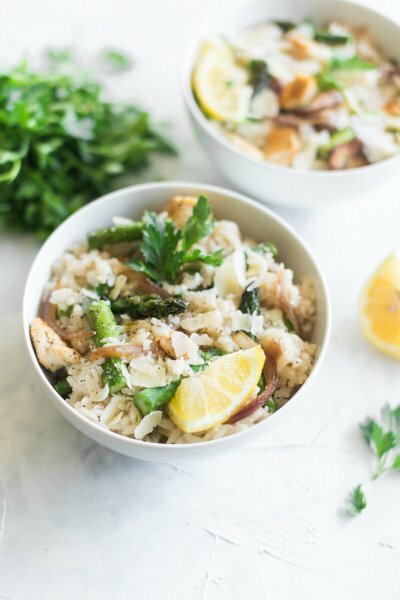 I recently discovered Alessi Arborio rice and instantly (a foodie revelation) knew that it would make the perfect healthier risotto recipe that would embody all the flavors of spring. 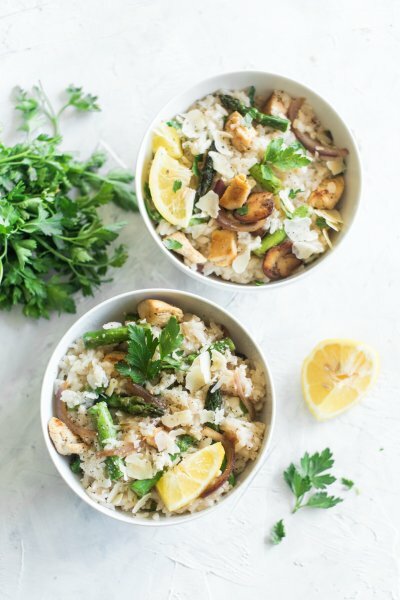 While spring foods still confuse me, there are two that have always had a firm place in my mind for the season: asparagus and lemon. Can’t you just taste it? 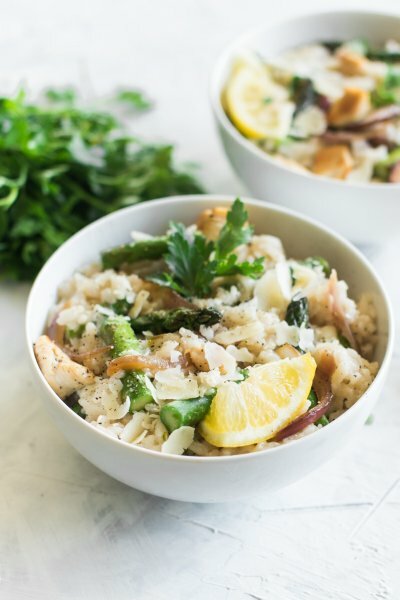 Crisp, yet tender asparagus and light lemon flavor that’s blended with parmesan and creamy al dente Arborio rice that has absorbed all the yummy flavors it’s been cooked in. Heavenly. 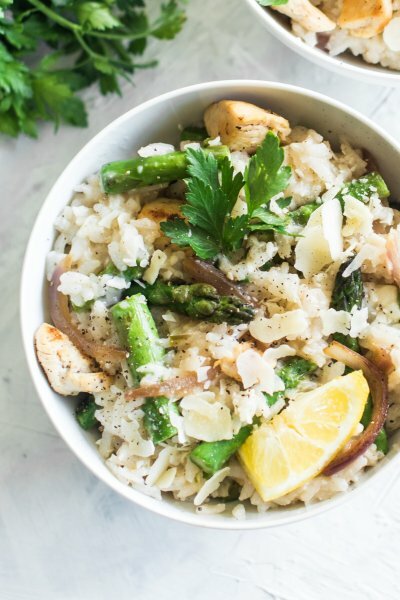 A must for this recipe is using Arborio rice, not any type will do! The rice’s characteristics and cooking properties allow it to absorb the flavors and to retain a certain firmness through the unique “risotto” cooking procedure. 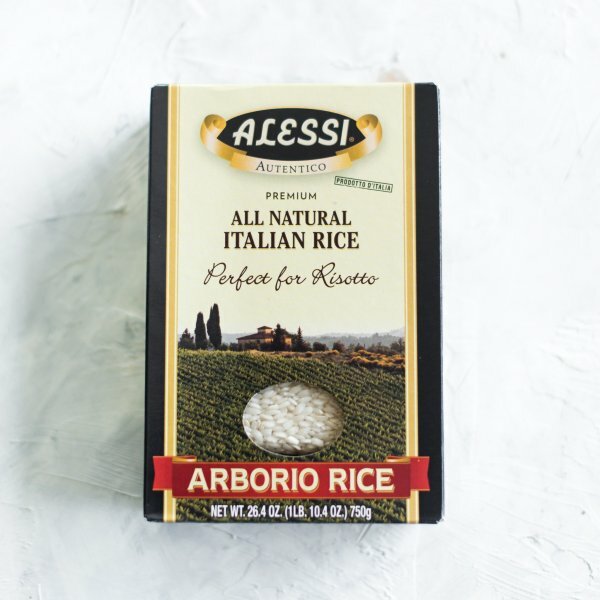 I absolutely love Alessi’s Arborio rice and all the other products their brand has to offer! The family emigrated from their home in Sicily to America in the early 1900s and brought with them all the true flavors of Italian cuisine. The Alessi family is still super involved in the brand and they believe deeply that the quality and value of the food you eat enriches your life. It’s been their life’s work creating products that do just that!